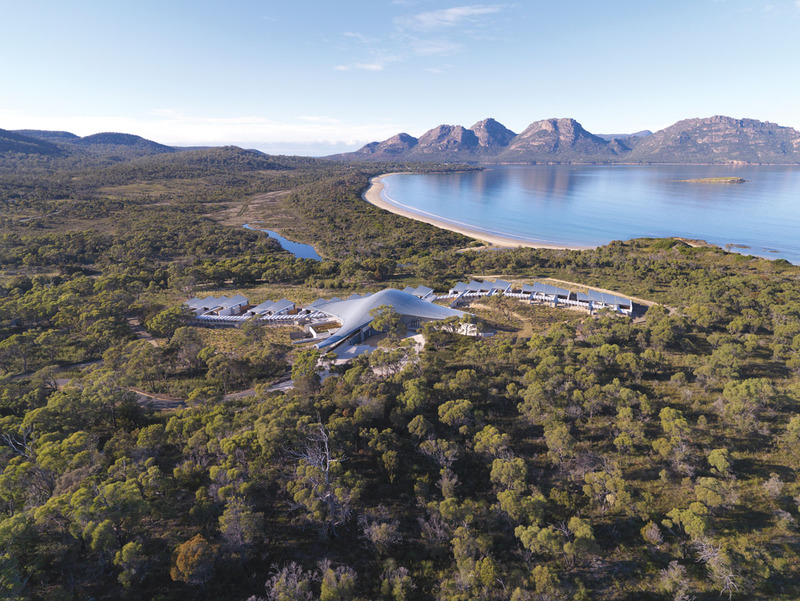 Saffire Freycinet is a stunning new resort located on the Freycinet Peninsula in Tasmania, Australia. 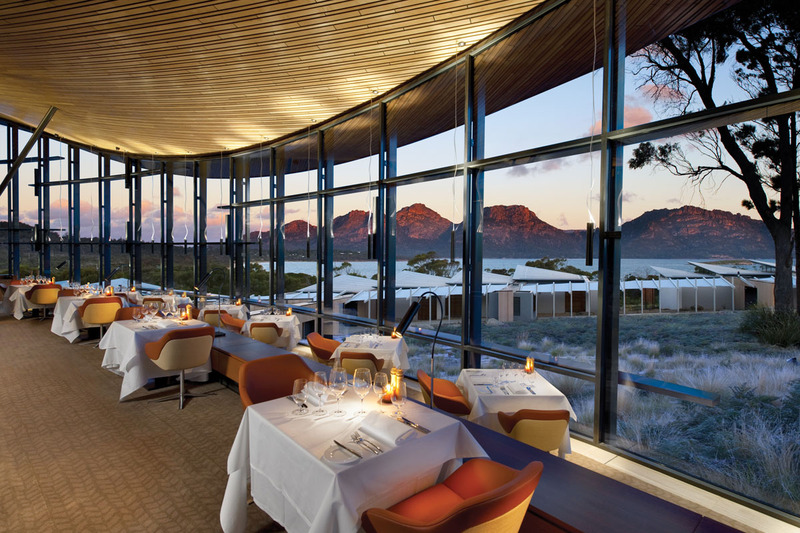 This boutique hotel overlooks Great Oyster Bay, and close-by is the internationally acclaimed Wineglass Bay. The resort’s interesting architecture was designed by Morris Nunn and Associates. The building’s roof line resembles the Hazards Mountains in the background and the suites below are like waves peeling on the shores. The simple contemporary interior design by Chhada Siembieda (CHADA) harmonizes with the pristine environment. The use of timber and stone creates a seamless feel between the inside and outside.